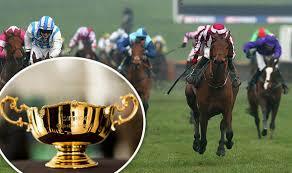 The Gold Cup is Cheltenham’s main race. All races that take place over the four days are meant to set the stage for this premier race. It is a Grade 1 National Hunt competition that takes place over a stretch of 5,331 metres (3 mi 2 furlongs) by horses of a minimum of five years of age. The challenging run is dotted by a massive 22 fences that require the horses and jockeys to be at their best levels of skill and concentration. An explosive crowd always gathers on the viewing stands to witness this race. Immediately it is time for the Gold Cup, a palatable change in the atmosphere occurs. This steeplechase has been in existence since as early as 1819. That will be two centuries in 2019! Then, it was a flat race and the inaugural edition was won by famous horse Spectre. A winning prize of 100 Guineas was awarded to Spectre’s owner. Being the biggest race, the Gold Cup definitely attracts a big prize. The winner pockets up to £327,000 of an available £575,000. A lot of fanfare forms part of the race’s build-up, including the honour roll for massive winners who have graced the event such as Bet Mate, Arkle and Mill House. The race was initially run on the Old Course but was moved to the New Course in 1959.
wins- three atop Arkle- was set in 1968, the same year trainer Tom Dreaper set a record of five wins. by winning the race as a novice. Coneygree had only started three fence races previously before Nico de Boinville rode him to a storming victory in the 2015 event. left-handed New Course of the famed Great Britain venue. It is a very young race at the festival, having only been introduced in 2011. There is an attractive purse of around £130,000 with the winner taking close to £70,000. It often takes up a different prefix to denotethe current sponsor. As of 2017, it was known as the JLT Novices’ Chase. Insurance brokers JLT has been the most stable sponsor of this race. Seven-year-old horses do love the Golden Miller. 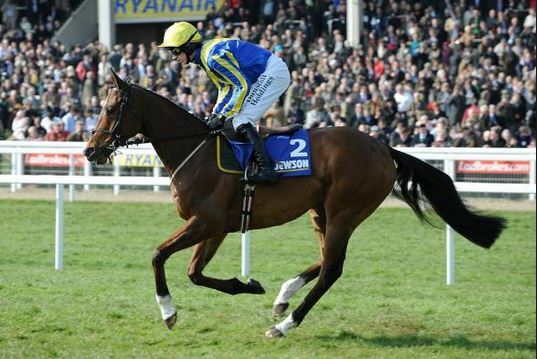 Horses of this age have won a whopping five of its seven editions since Tony McCoy ridden Noble Prince won the inaugural event in 2011. No single horse has been able to win the race twice. This may be as a result of the advanced age of horses that have always won the competition.